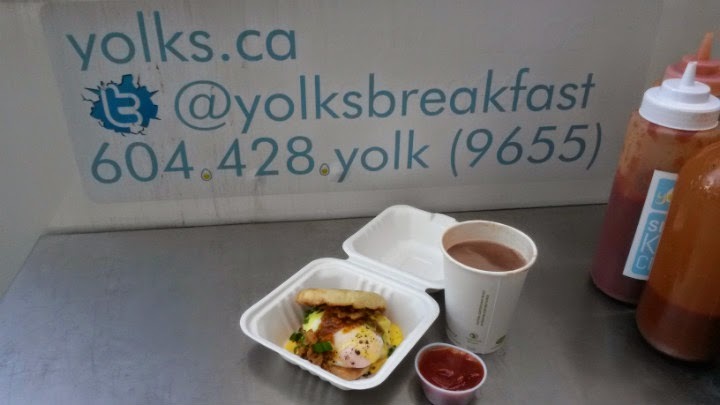 Since I enjoyed Yolk's Breakfast last year in Canada, I returned to their food truck on my latest BC trip in late November. 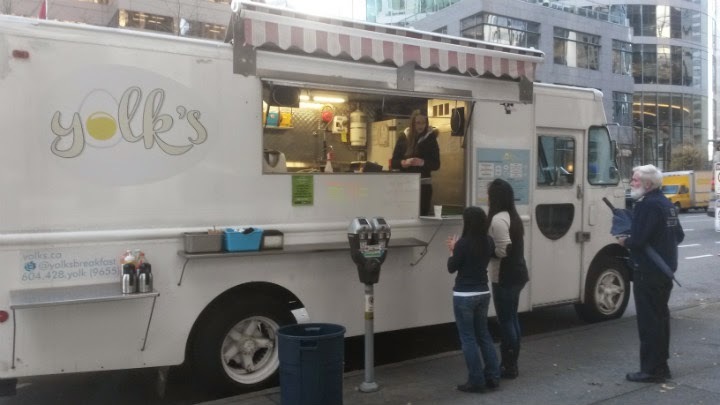 I went to their second food truck, a larger white truck in downtown (near Burrard and W Pender). 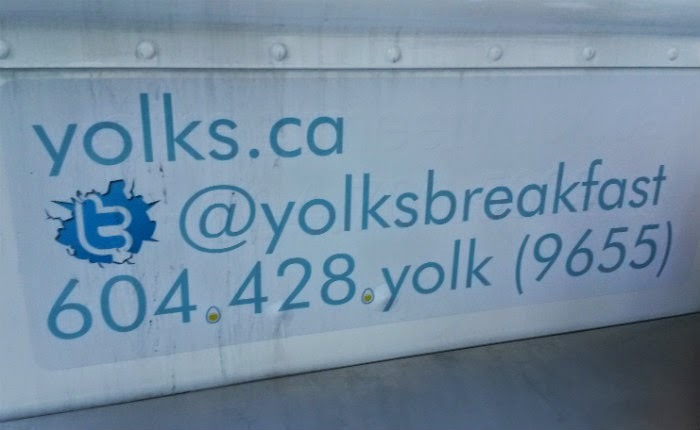 Just to confirm, their light blue cart is still parked by the train station (at Dunsmuir and Beatty). 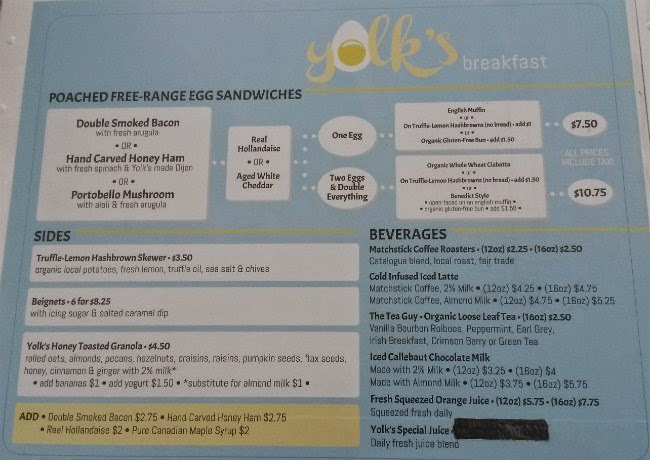 The menu is basically the same from last year. Rotating specials as usual. 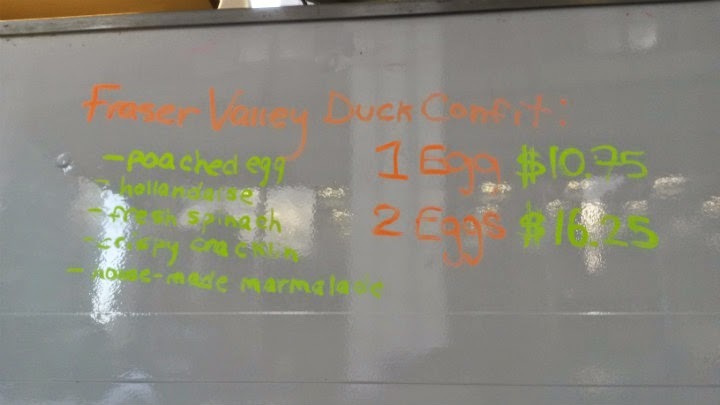 On this visit, one of the specials caught my eye: Fraser Valley Duck Confit sandwich. 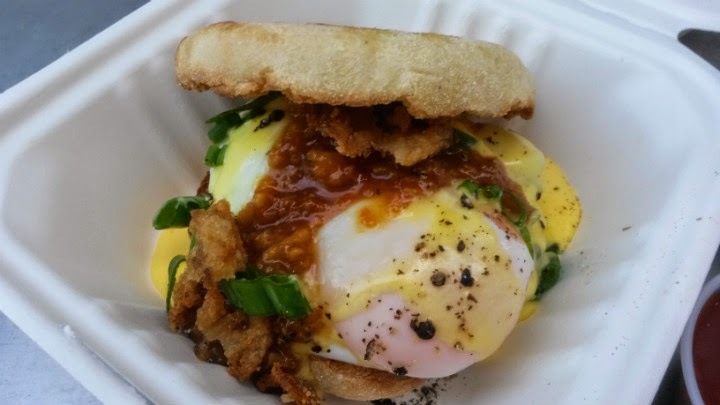 Poached egg, hollandaise, fresh spinach, crispy cracklin, and house-made marmalade with the duck. 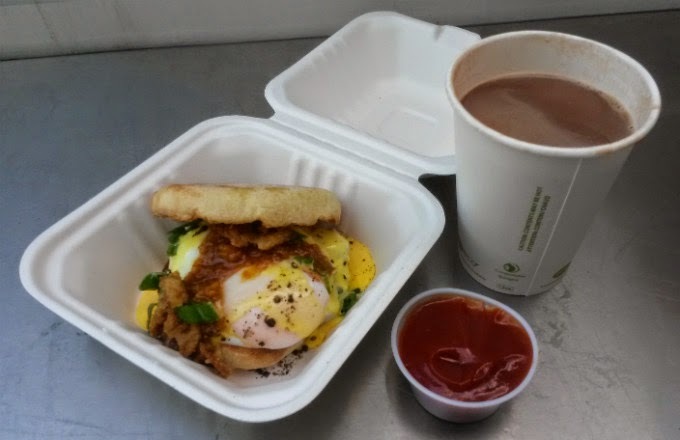 On a toasted English muffin. 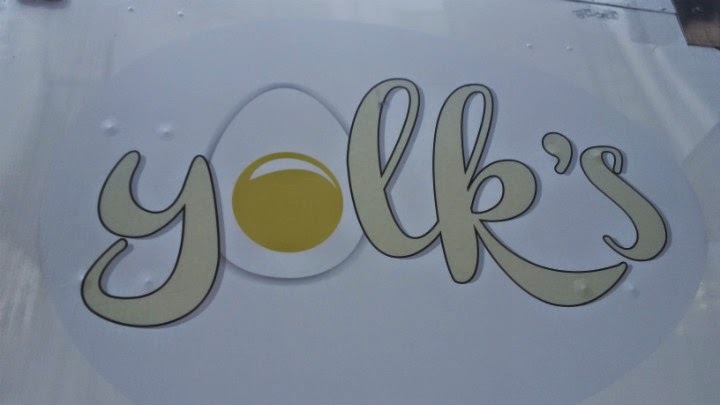 The special with one egg is $10.75, two eggs $16.25. 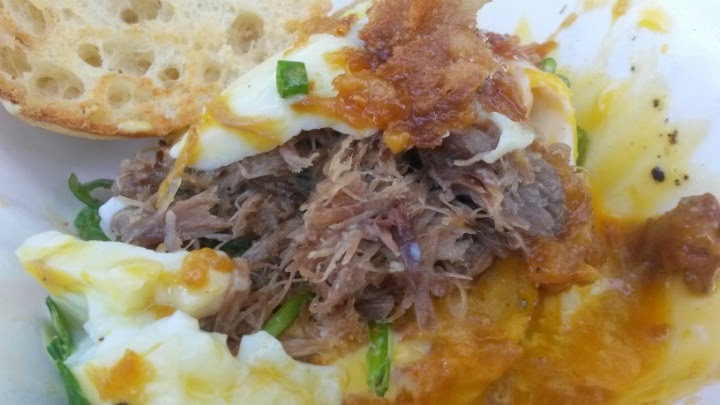 Perfect poached egg, excellent duck. The sweet marmalade brought everything together. 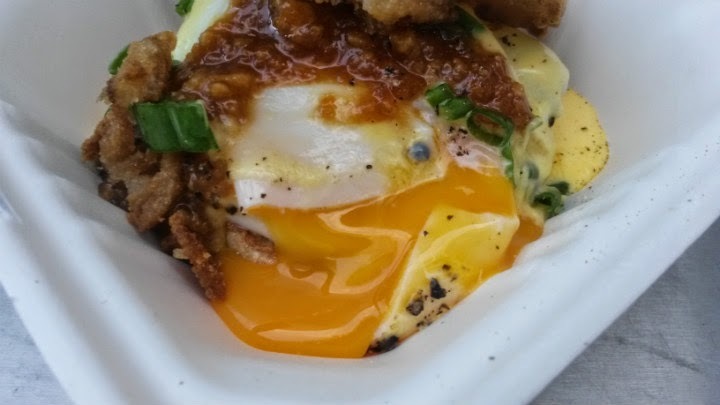 Cracklin brought an extra crunchy dimension to this. As expected, it was a messy, glorious experience. 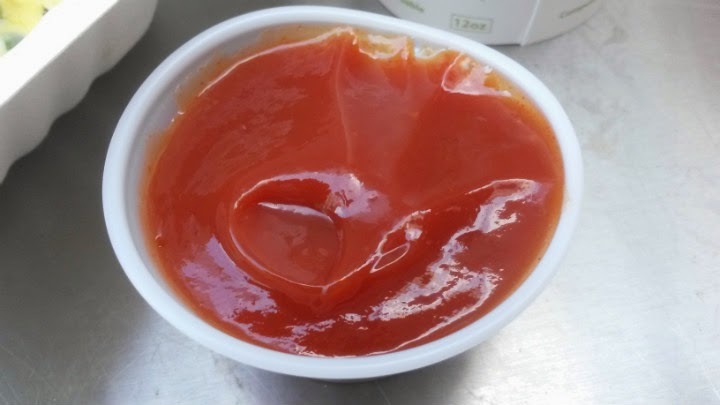 The spicy ketchup here is amazing. It may not be spicy, but it's damn good. Goes well with the special. At the end of November, it was probably 20 degrees outside that morning. 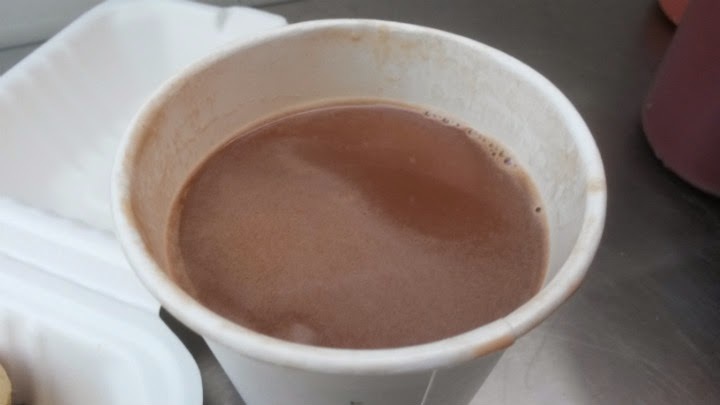 I warmed up with some Hot Callebaut Chocolate Milk ($3.50 for 12 oz). Totally hit the spot. Yes, the meal was quite pricey, but heck man, it's a vacation. And panda foodgasms are also awesome. Been here twice now and I still fail to get their Chicken and Waffles special. I believe they only offer it on Fridays. Their website and social media sites are constantly updated with the latest info.